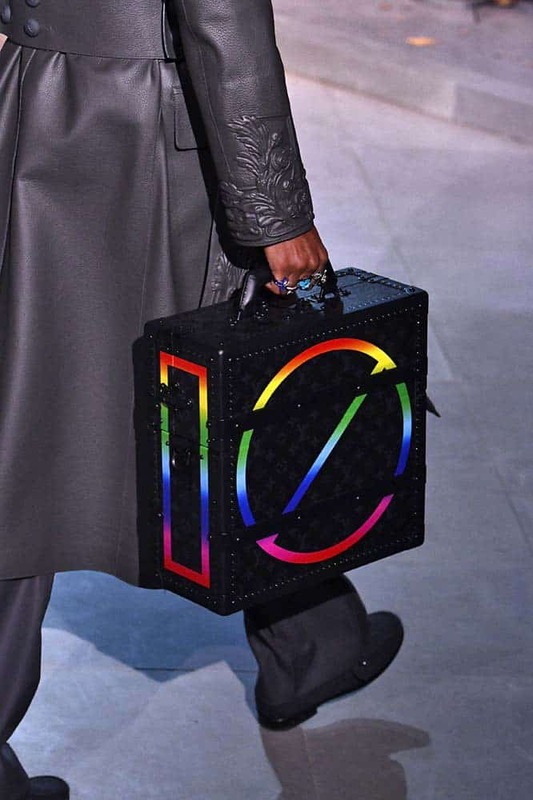 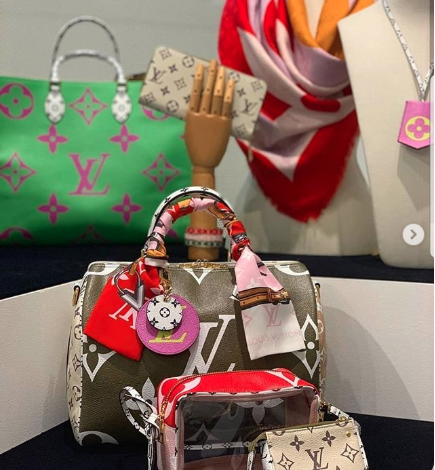 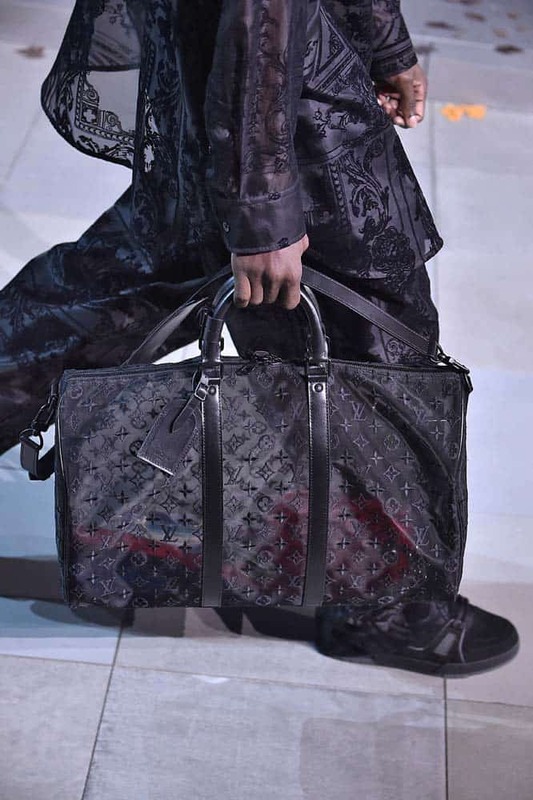 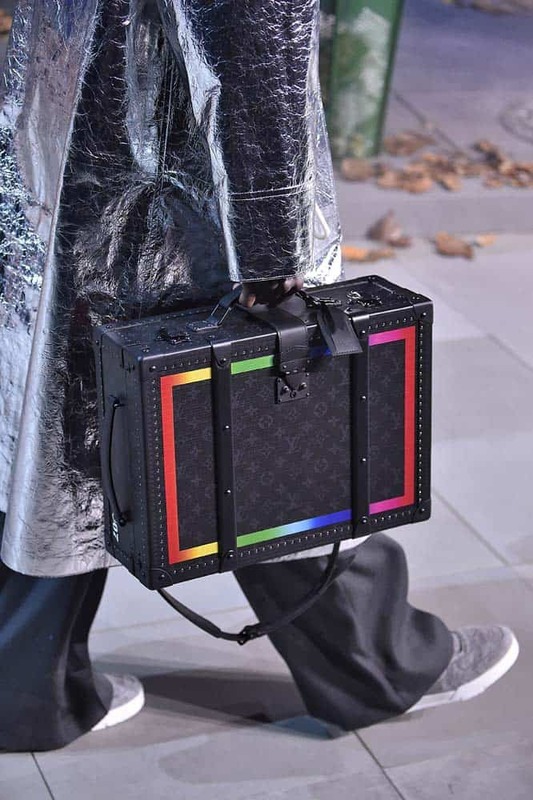 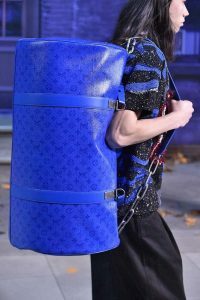 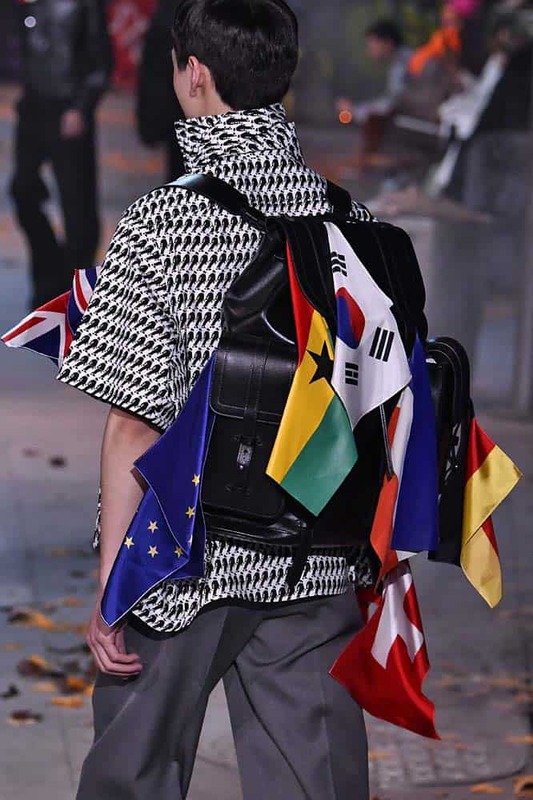 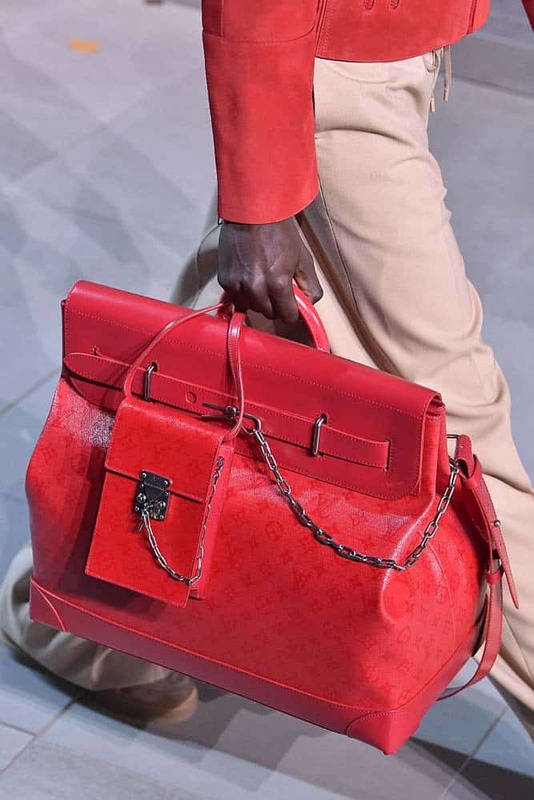 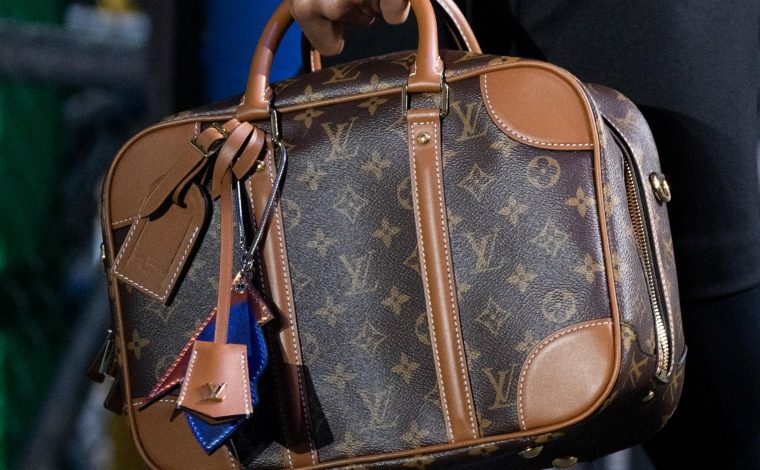 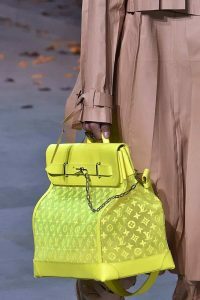 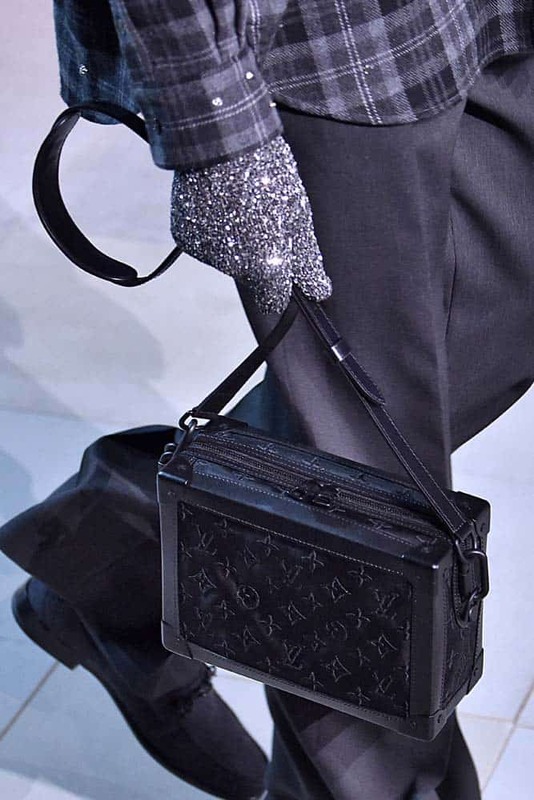 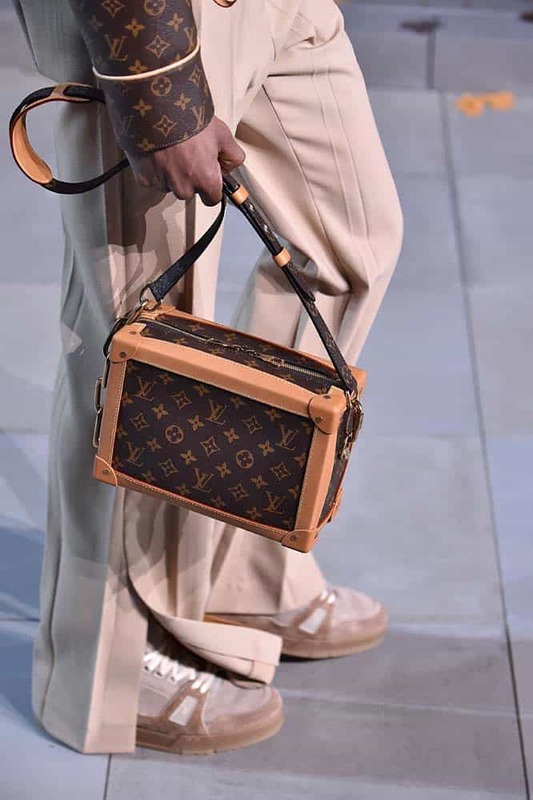 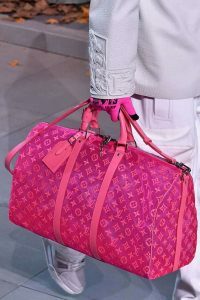 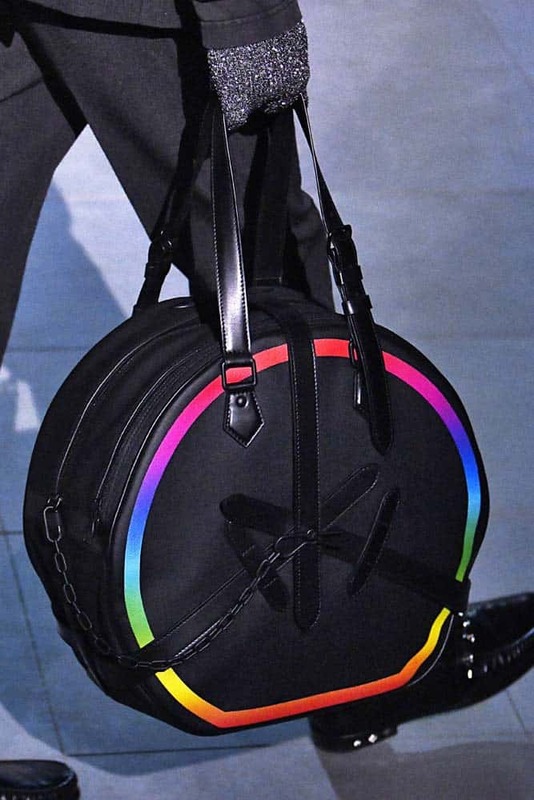 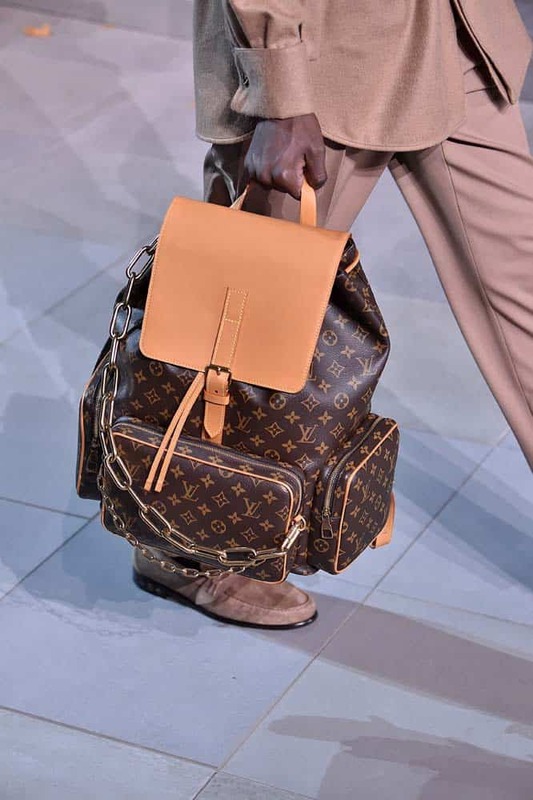 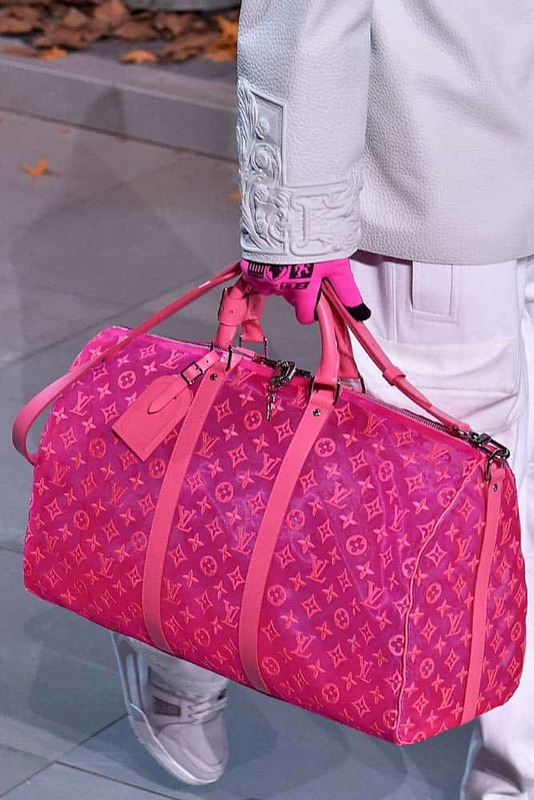 Virgil Abloh has just presented his second collection for Louis Vuitton at the Grand Palais in Paris. Abloh pays tribute to the King of Pop, Michael Jackson, with the runway being inspired by the Billie Jean music video. Even the show’s invitation features MJ’s iconic glove with rhinestones on it. 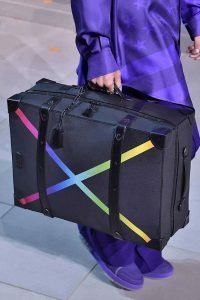 The collection features a mix of colors from basics like black, gray, red and brights like purple, pink and neon yellow. 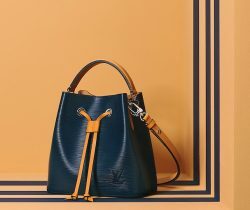 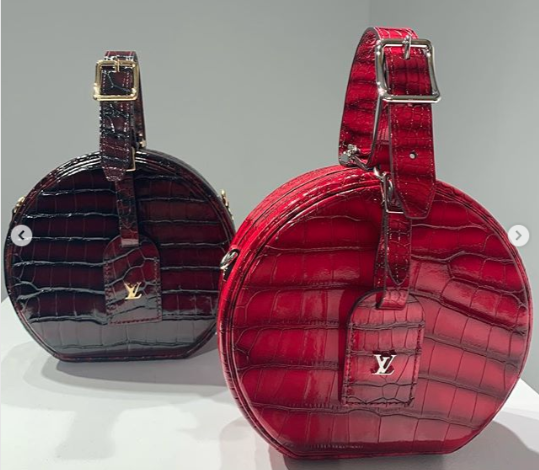 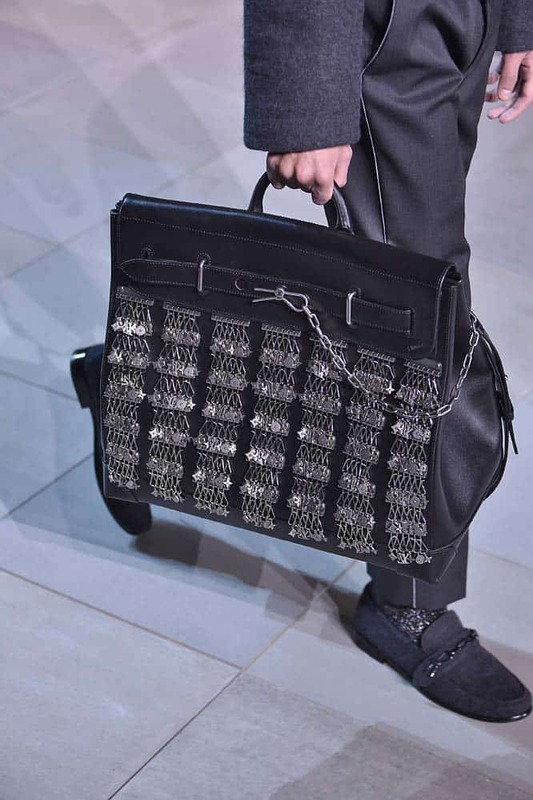 The season’s handbags comes in the Monogram pattern, patchwork of flags and crocodile leather. 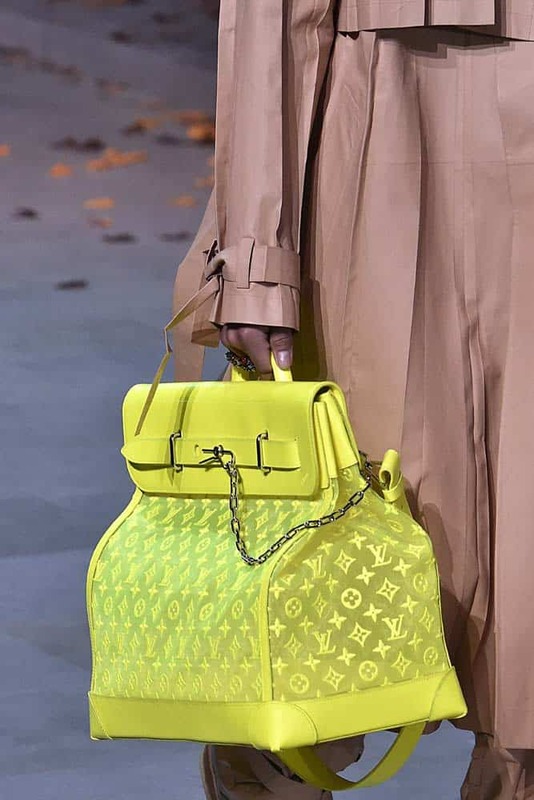 The Keepall is back in neon colors and a quilted Monogram. 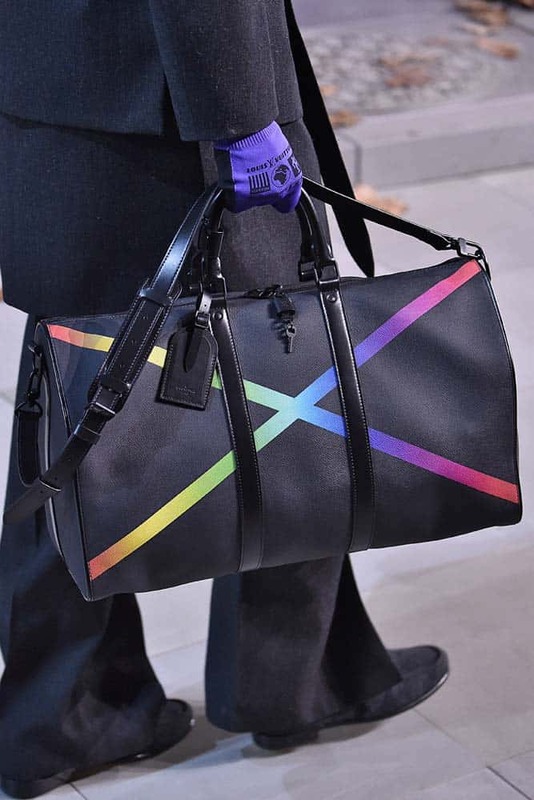 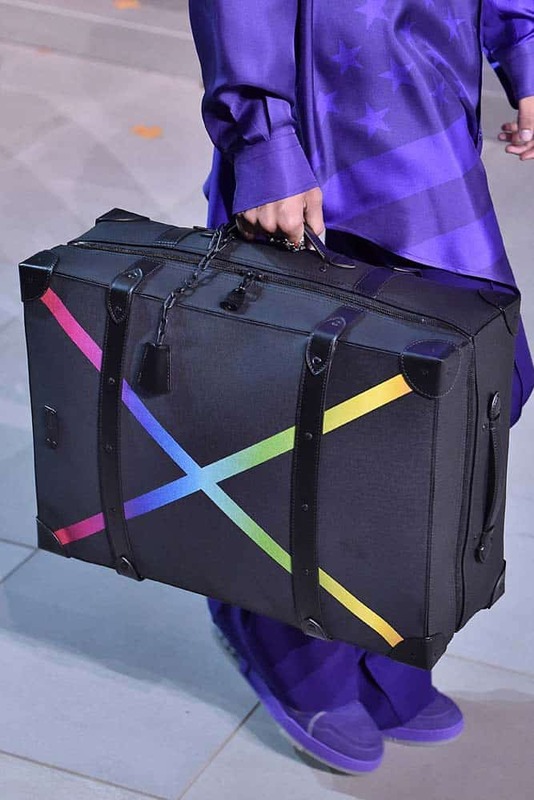 The Steamer comes in silver embellishments, while black bags were introduced with rainbow colors. 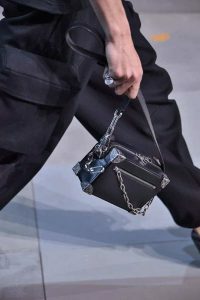 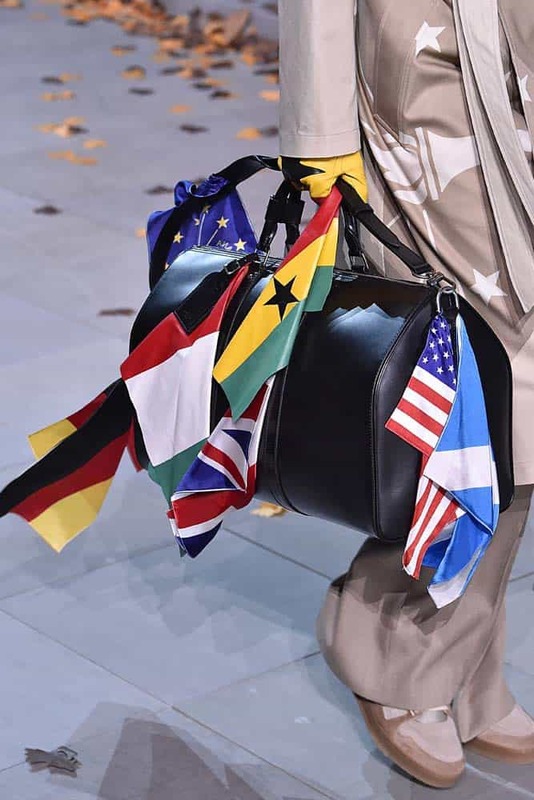 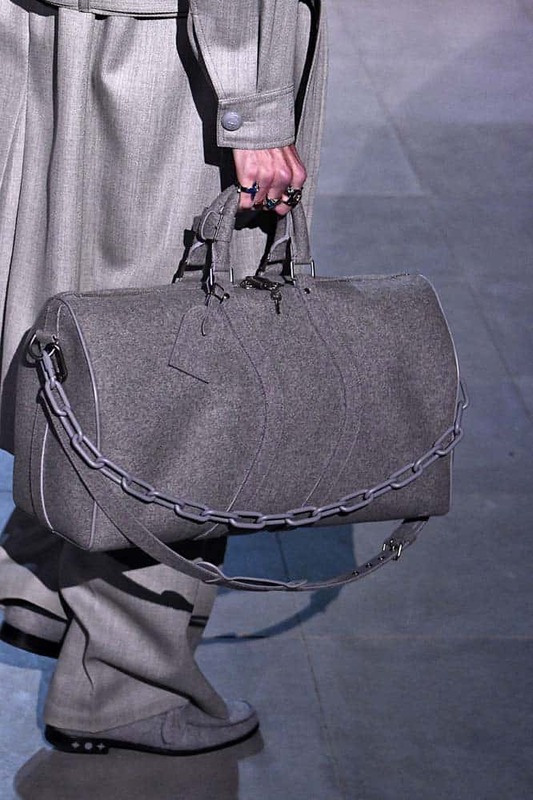 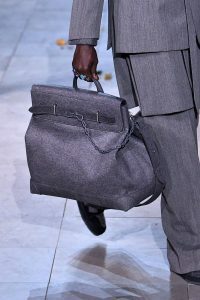 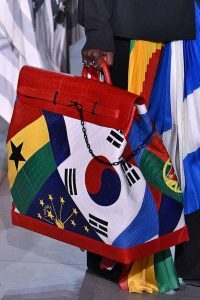 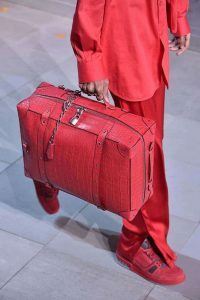 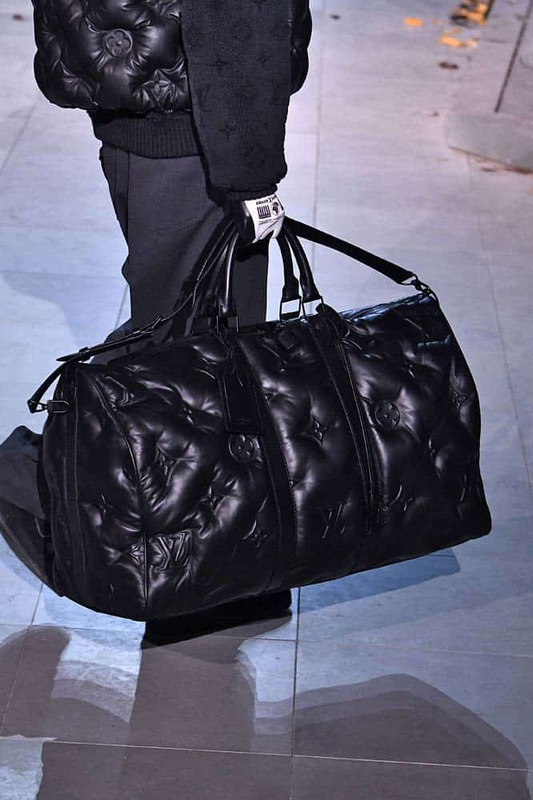 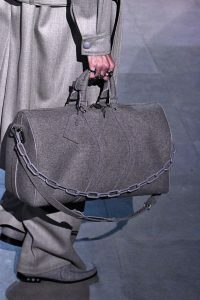 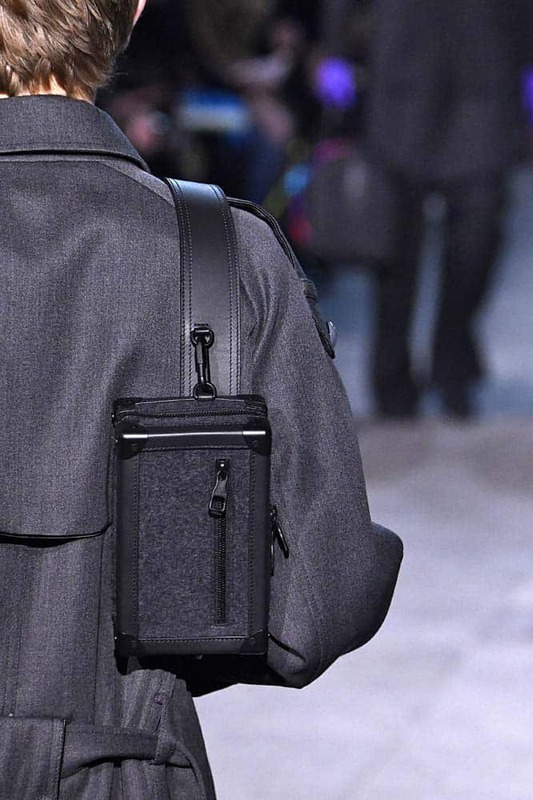 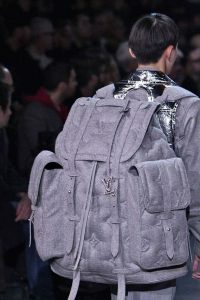 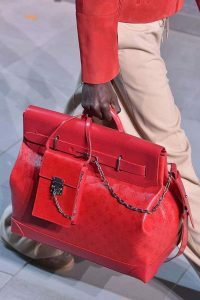 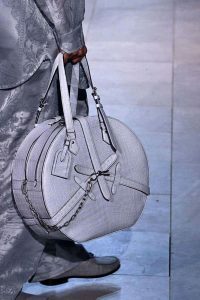 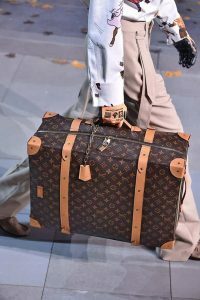 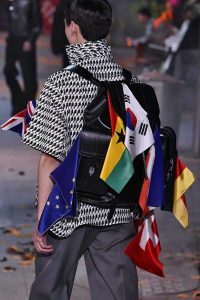 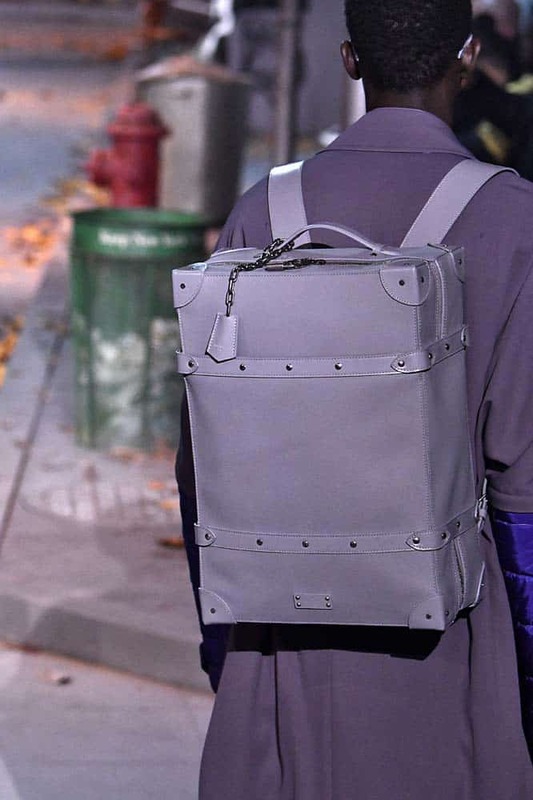 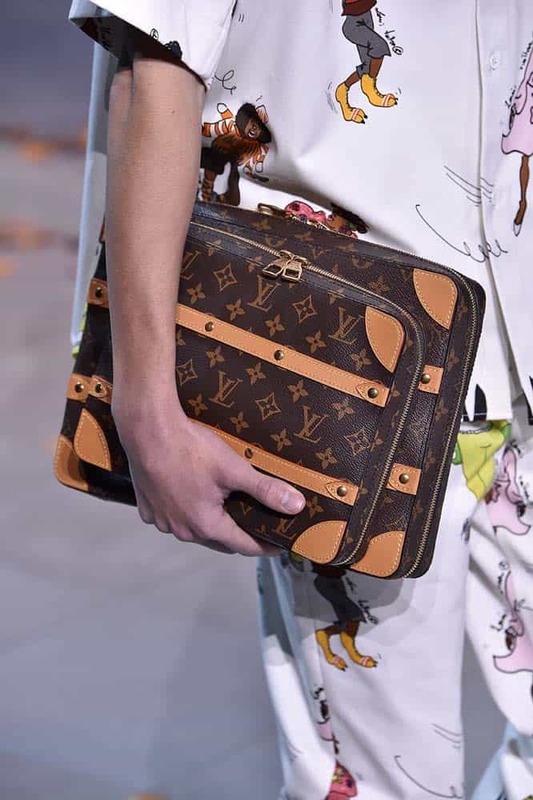 A variety of trunks in different shapes were seen in the runway, and an oversize round bag were also presented in the show.